Cean Irminger’s Kiddo collection of mosaics pops up all over May’s House Beautiful Magazine! Congratulations, Cean, and thank you to House Beautiful for this wonderful feature. Fleet, shown in Lapis Lazuli, Iolite, Absolute White, and Moonstone jewel glass, is part of the Kiddo Collection by Cean Irminger for New Ravenna. 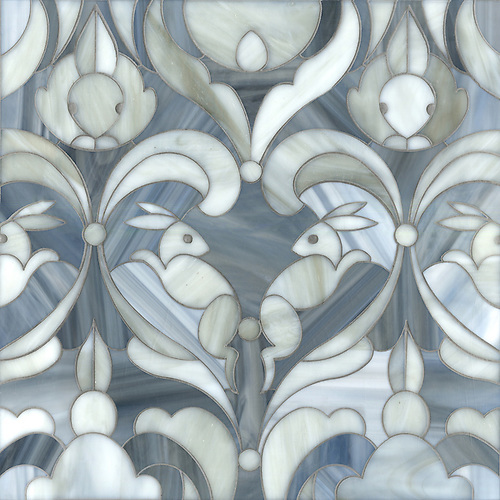 Hare Apparent, a water jet glass mosaic, shown in Labradorite honed and Alabaster jewel glass. 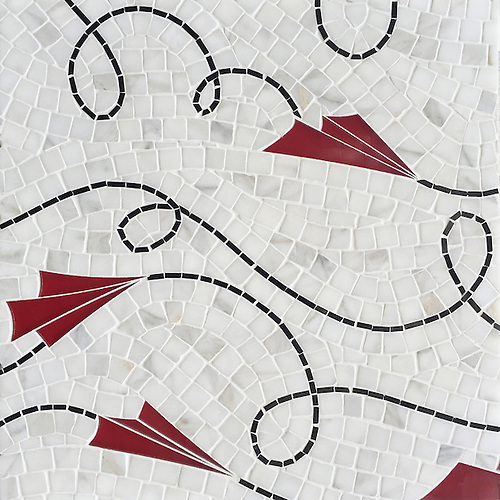 Loop De Loop, shown in tumbled Calacatta, polished Nero Marquina, and Carmen Red glass. Part of the Kiddo Collection by Cean Irminger for New Ravenna. 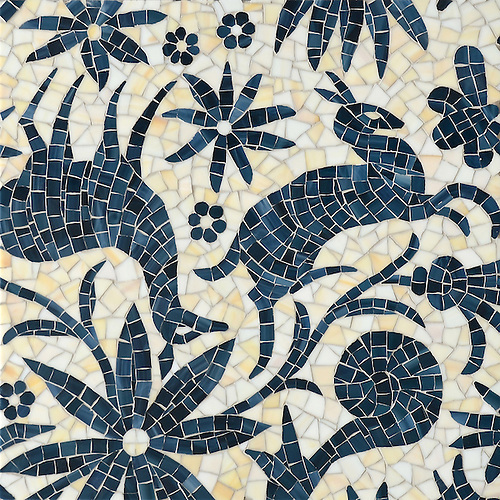 Otomi, a jewel glass mosaic, shown in Agate and Marcasite, is part of the Kiddo Collection by Cean Irminger for New Ravenna. For pricing, samples, and design services, click here to locate your nearest New Ravenna partner showroom.